We want to make bus travel safer and more comfortable for you. Here are some tips to make your journey more convenient. ON RATINGS Book your bus ticket on buses that have a high rating and good reviews. The ratings for buses have been compiled by passengers who have used the service before, and hence are very dependable. FRIENDS UPDATED Let someone know about the location of your bus while you are travelling. Choose buses that use GPS enabled features like Track My Bus which will help you locate your bus and send the details of your location to your chosen emergency contacts. GPS buses are identified by icon on redBus. FOR WOMEN For female passengers, when you are booking on redBus, the seat adjoining yours in a bus is automatically reserved for women. Make acquaintance with your co -passengers if you are travelling alone. KNOW YOUR REST STOPS When travelling overnight have all the information regarding the journey. redBus' rest stop feature helps you to find out where the bus will halt along the route. 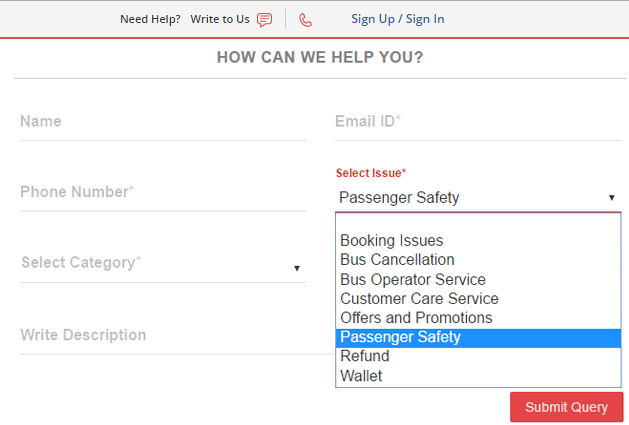 SHARE YOUR TRAVEL EXPERIENCE Write to redBus in the event if you want to raise a complaint. The query submitted will be received by the concerned team at redBus immediately. TRACK MY BUS The Track My Bus feature on redBus helps you track the real-time location of your bus, thereby helping your schedule your travel. With the help of this feature, the traveller can reach his/her boarding point on time rather than wait at the bus stop for long hours. STAY ALERT In case you feel threatened or intimidated, or in case you find yourself in an unsafe situation, draw attention to yourself. Let your co -passengers or anyone know that you are in trouble. 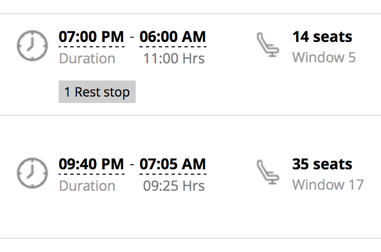 PLAN YOUR TRAVEL RIGHT Schedule your travel. Try not to arrive at a new place late in the night. BE ALERT IF YOU ARE THE LAST Be vigilant if and when you are the first one getting in or last one getting out of the bus. If possible be on a call with someone you know.